The summer Renaissance faire season is behind, but there are still plenty of ways to find the opportunity to wear Renaissance dresses and act the part of a noble lady. Creating a realistic character, though, involves putting on the right outfit and the right airs. Whether you are mingling with other Medieval minded friends or whether you are acting before a crowd of school children, be sure that you are in character before they see you. You can practice ahead of any formal event so that your accent is fresh and your Renaissance dresses ready. You can make sure there aren’t problems with your garb. Check to be sure there isn’t any insect infestation. While you may not have the outfits stored for winter because of pending engagements, you can still do your best to keep critters at bay by keeping dryer sheets in the storage area. Check out hair styles, crowns, trinkets and wigs in advance. If you are learning a part, run through it with a friend or family member. If you must simply be prepared to act noble, spend plenty of time preparing. At your events, make sure that you concentrate on the accent you are going to use. The holiday season isn’t far off, and a Renaissance costume is a fantastic choice of gifts for a loved one who enjoys Medieval themes and events. Whether that person already owns some Medieval garb or whether you are thinking about gifting that first outfit, the surprise will be fantastic. You can consider a variety of costume possibilities, and it’s also fun to include accessories. You might want to think about a noblewoman’s gown for a daughter who is majoring in literature. Perhaps you will want to find a pirate’s costume for your own buccaneer. You can find a huge selection of crowns and hats to accompany a Renaissance costume when you search a site like PearsonsRenaissanceShoppe.com. You’ll find necklaces and tiaras for women. You’ll find dashing boots for men. You’ll even find costume choices in sizes that are appropriate for kids. Combine a costume gift for a spouse with travel brochures for popular Renaissance festivals and SCA events in the coming year. Outfit the kids with costumes, and provide them with books and movies reflecting the period. 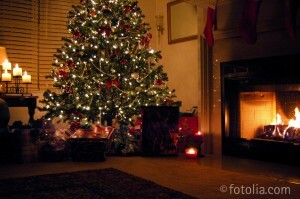 Encourage creativity, putting on a Renaissance party as a Christmas Eve season. Though the faire season has ended, the holidays are perfect for indulging a Medieval passion. As October sets in, so do the lower temperatures. For the Live Action Role Players out there, this means cold days and even colder nights. Since most LARPs operate through the night, role players need to be able to stay warm to continue enjoying the game. 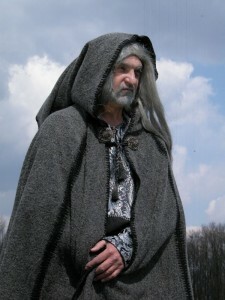 PearsonsRenaissanceShoppe.com has a number of different Medieval Winter Cloaks that you can match to any costume or character. Perhaps your character is of noble descent and you want that reflected in your costume. A simple and mundane cloak simply will not do. Something more long the lines of this Medieval Duke’s Cloak will help delineate your status. Maybe your character does not care for the troubles of the Highborn Lords. Maybe you’ve learned that the key to survival is sneaking and stealing so that you can enjoy life on your own terms. If that be the case, then this Rogue’s Black Hooded Cloak may pique your interest. Does you character take to the woods? Do you like tracking down enemies, hunting wild game for food, and scouting out for danger? If so, then a Green Wool Cloak can help you blend in easily with the camouflage that nature has to offer. Regardless of your character’s position or intent, one thing is for sure: These cloaks will keep you warm as the temperatures continue to drop. Here at PearsonsRenaissanceShoppe.com, we provide you a number of Authentic Medieval Costumes options when it comes to what type of role you’d like to play at your favorite Renaissance Faire. You can be a Queen, Knight, Wench, and so forth. 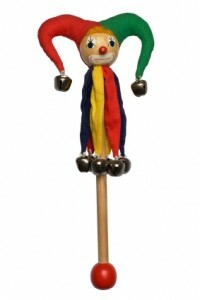 But one of the roles that can be just as fun as the ones mentioned before is that of the Jester. The Jester was supposed to keep the royal court entertained during festivities and events. They used a number of methods to entertain, such as clowning, music, juggling, and mental challenges via riddles. This could be an entertaining and unique role playing experience at a LARP or Medieval Faire. In honor of the Jester, we thought we might include a Medieval-themed jest. If you have any of your own, leave them in the comments section! Medieval kilts also provided warmth. Made of tightly woven wool, kilts created a barrier between rain and the skin. Pleats afforded a minor form of protection similar to armor. Because the garment could be easily removed, soldiers often used them like a blanket, spreading their kilts upon the ground at night. Originally kilts were referred to as the feileadh mhór (philamore), or the big wrap. Top and bottom portions were separate with the top detachable and worn over the shoulder for comfort. Initially the garment’s apron was also left unattached while worn. Early versions also did not have the tartans that characterize contemporary kilts. Today’s kilts have tartans denoting the Scottish clan of which the wearer is a member. These garments are also much shorter than those worn in the past and are often used for ceremonial occasions. 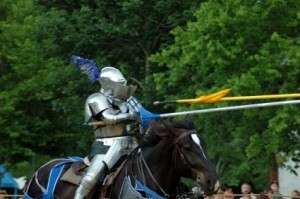 What are your favorite Renaissance Faire Activities? If you love to visit Renaissance events in August, then it’s time to plan ahead. Whether you are visiting a Shakespearean festival or a local fair, there are many events slated during the summer months, and August is one of the most active for enjoying the old time atmosphere of such events. You will need to allow plenty of time for your Renaissance costumes to arrive, and while there may be options for expedited shipping with various retailers, the costs can be excessive because of the weight of some of the materials. This is especially true if you are ordering a chain mail armor outfit or a long Renaissance gown. Make sure that you take correct measurements so that you order in correct sizes. When you select your Renaissance costumes, keep in mind that the timing of an August event will entail warm weather and the potential for rain. Summer monsoon season can present a danger for those planning to wear armor costumes, so determine what kind of shelter will be available if you plan to wear such garb. Hats are excellent for providing a little bit of protection from the hot August sun, and you will want to make sure that all of your family members include hats in their Renaissance wardrobes. Many think of men’s accessories for Medieval attire in terms of crowns. 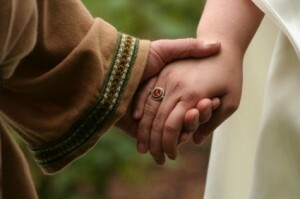 However, Mens Medieval Jewelry can also include rings and cloak pins. Belt buckles and rustic pendants are another way that you can complement your outfit. Whether you are staging a play that involves Medieval attire or you are dressing for a Renaissance festival, there’s nothing quite as fun as finding great clothing to reflect the enchanting appeal of the period. For women, it seems simple enough to create a wonderful wardrobe. Men can add to their apparel wonderfully, as well, with both period clothing and accessories. Mens Medieval jewelry is elegant and interesting, perfect for completing a regal look. A knightly chain can add just a hint of embellishment that creates a look of distinction. If you are involved in a SCA event, of course, the most regal embellishments would be meant for those bearing official titles and positions. In a high school production, though, a crown is perfect for adding to the wardrobe department of the schools’ little theater. Many Medieval and fantasy tales include a piece of jewelry or adornment at the center of the theme, making it fun for the avid fan of a series to own a piece that reflects that saga. 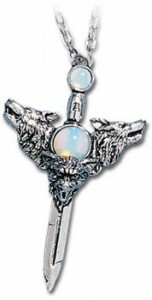 Find a plethora of Men’s Medieval Jewelry options available at PearsonsRenaissanceShoppe.com. Are you feeling lucky? We sure hope so, because we’re giving away a $35 gift certificate just because we love you, our customers! We’ve made the entry simple! 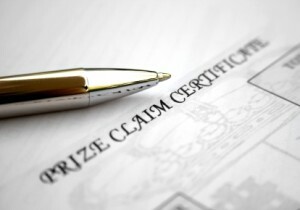 See the form below – there are a few quick steps to accumulate points. Like Pearson’s Facebook Page for 5 points, like this Blog post for 1 point, comment on this Blog post for 2 points, or visit our website for 3 points. The more steps you take to enter, the more points you score, the better your chances of winning! Festival season is nearly here! A free Pearson’s gift certificate will help towards updating your looks, so enter now! Good luck! Much of the fun of attending a Renaissance fair or festival comes from dressing the part. Donning period-appropriate footwear and garments helps attendees immerse themselves in the moment while bringing the past to life. Nothing spoils the illusion faster than modern raincoats. Protect yourself from the elements with Medieval cloaks. You have three options when it comes to rain gear: Water-resistant, water-repellent and water-proof fabric. Water-resistant fabric offers the least protection while water-proof materials are safe from heavy rain. Water-resistant, hooded cloaks should protect you from fine mist or drizzle; a strong downpour will leave you soaked. Select fabric with a tighter weave so the rain is less likely to penetrate your cloak. Spray your cloak with a fabric-safe water repellent for better protection from rain. Base your fabric choice on when you plan to wear your cloak. Select Medieval cloaks made from wool or velvet for chilly weather. Stick with lighter fabrics, such as cotton, for summer. Wear an unlined, twill traveler’s cloak during changeable spring weather. Match your cloak to your clothing. Wear a luxurious cloak if you’re a lady. Simple cloaks with serviceable fabrics, on the other hand, are more suitable for country maids. Will You Have A Beautiful Medieval Wedding? Every bride wants her wedding day to be magical, memorable and mind-blowing. What better way to accomplish that goal than to cater to her deep desire for a Medieval themed wedding? Whether you’ ride in to be wed to one another on horseback, or vows will be exchanged on-location at an upcoming Renaissance Faire, one of the most essential items for the bride’s big day will be the dress. 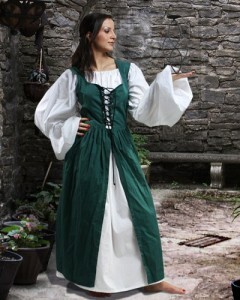 Fortunately, with an extensive line of Medieval wedding dresses and dresses for maids of honor and proper attire for the groom and his men, PearsonsRenaissanceShoppe.com is here to help the wedding planners pull off the event without a hitch! The secret to success is working closely with the bride-to-be to decide exactly what kind of bridal wear she’s looking for, then to browse through our selection to see which of our Medieval wedding dresses make the cut and which are eliminating from the running. Then, as the wedding dress is selected, the bride and her entourage can work together to select what bridesmaids, the groom, groomsmen and other important personalities will wear to the big event. Be sure to check out the Medieval Isolde Wedding Dress. Not only is it custom-made, the level of authenticity and craftsmanship is incredible.